You may already be familiar with autoresponders – pre-written emails that are automatically sent to your subscribers based on some sort of trigger. Autoresponders, or ARs, come in handy when a new subscriber joins an email list. In contrast, an email workflow is a set of messages that are cued up in order to accomplish a specific goal. These messages are especially helpful when special marketing campaigns are run for current subscribers. 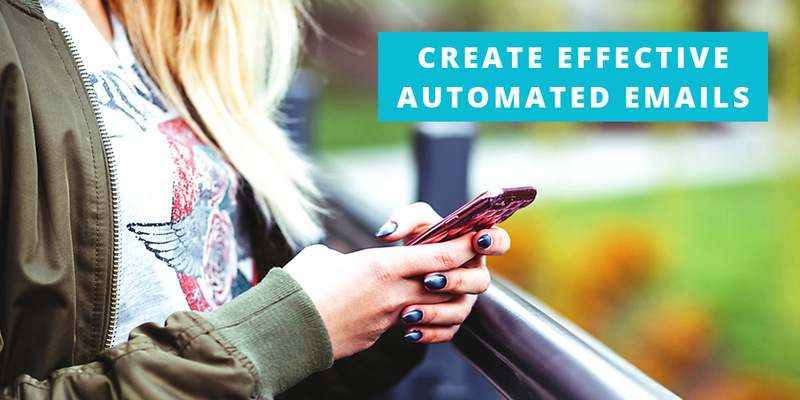 Whether you are using autoresponders or workflows, each automated email series needs to take a different approach to be effective. This approach is often based on the purpose — or the end goal — of the set. The key to getting great results with an automated email series is to start out with the end goal in mind. And that’s what we’re going to focus on here! First, we’ll look at 3 of the most popular scenarios. No matter what business you’re in, you can easily implement similar emails to improve your marketing results. Next, we’ll go over a 3-step process that you can use to drum up a personalized email sequence in under 10 minutes. Here, we’re talking about people who just joined your list. Obviously, these subscribers expect to get updates each time you post new content. Now, you could just let them join the mix of content update messages. But, this is also a great time for sending out a welcome AR series. It is your chance to build a more meaningful relationship with new subscribers. And then follow it up with regular newsletter emails. To get a head start, model your welcome email after this example. It makes the most of the first contact with a new subscriber. Welcome emails enjoy about 57.8% open rates, so don’t be shy – go all out with it! Expert tip: Make sure you add tracking links to every email you send. That way you can see what links are the most popular, which get the best click-throughs and then refine your copy accordingly! Now let’s say that you have a list of subscribers, and they’re pretty warmed up — as in, they know you and your products or services. These subscribers are generally quite receptive to your marketing, so, you can target them with an workflow promoting something new. Most email marketing automation services like Sendlane can help you identify and segment subscribers based on their actions. In this case, you’ll be able to identify anyone who registered for your webinar series. Then, you can further segment these subscribers and plan another workflow! Another popular email series is one where you promote a product by offering a free trial version. This series would showcase things like features and usefulness first. Then, you would eventually promote the upgrade to a paid plan. Basically, you are onboarding the customer on how to make the most of the free trial. That way, they see the value of the product and want to stick around once the trial runs out! Like we mentioned earlier, the important thing here is to know the purpose of your series. Understanding the goal for an email series is so important, it’s also the 1st step to setting up a result-oriented sequence. Ask yourself: What’s the goal of this email series? If you’re having trouble with that question, try to fill in the blank here: When this series ends, I want the subscriber to ________. Anything goes as long as it leads to a specific action. Depending on your answer in step 1, make a list of all the things that a subscriber might need to know to take action. And so on, until you’ve written down all of the relevant information that will help them do what you’d like them to. You can even think of this as an FAQ section. What would you ask if you were being offered the same scenario? Answer accordingly so you can present the information in the next step! Take everything you just compiled in step 2 and start writing. Craft compelling emails that address each question or detail in an authentic, interesting way. Group things together logically so the information flows and really makes your point. Once you’ve written the emails, plug them into your email marketing platform. To make this system more powerful, use the power of personalization and analysis. Segment and adjust your email campaigns based on on a subscriber’s behavior. For example, in the above scenario, if you have subscribers who didn’t open your Free chapter/module email, craft a new version of that email with a better subject line. Autoresponders and workflows are the simplest form of email marketing automation. The best part? Once you set them up, they do the work for you. When growing your list, start with is a good welcome email series. Then follow up with content based messages and marketing campaigns. And don’t worry too much about how long your email series should be. There’s no right number of emails in an sequence. Just plan out your emails and let the series be as long as it needs to be. Once your series is over, continue sending messages within your regular mailing list to maintain the connection. You’ll be surprised with the results your email automation will generate for you! If you’ve yet to choose an email marketing platform – or if you’re wondering about the right tool to choose, go for Sendlane. In fact, Sendlane powers all our email marketing over here at Snaptactix. We use it to send everything — from welcome emails, to content updates to new product announcements and promotional emails. Click through to sign up for a free Sendlane account and add the power of automation to your email marketing. For beginners with a list of up to 500 subscribers, the monthly plan comes at just $9/mo. And the plans are easy to scale up. And while you’re at it, you can also check out ClickPerfect. These powerful tools help round out your email marketing efforts by really optimizing your messages. These are the tools we use every day in our company and we highly recommend you check them out. With that being said, let us know in the comment section which tip you liked best and what tools you use for your email marketing!